Natural language forms are a lot like fill-in-the-blank quizzes you might have been asked to complete back in school. They’re a fun and super-intuitive way to spice up your traditional WordPress forms because it feels like you’re having a conversation right in your browser! All you need to do is write a a short sentence and where appropriate leave blank spaces in places you want your readers to fill in their information. And this is super-easy with HappyForms new Story part. It’s important to know that not all forms best fit this style, so we recommend also reading over GoodUI’s guide to natural language forms dos and dont’s. 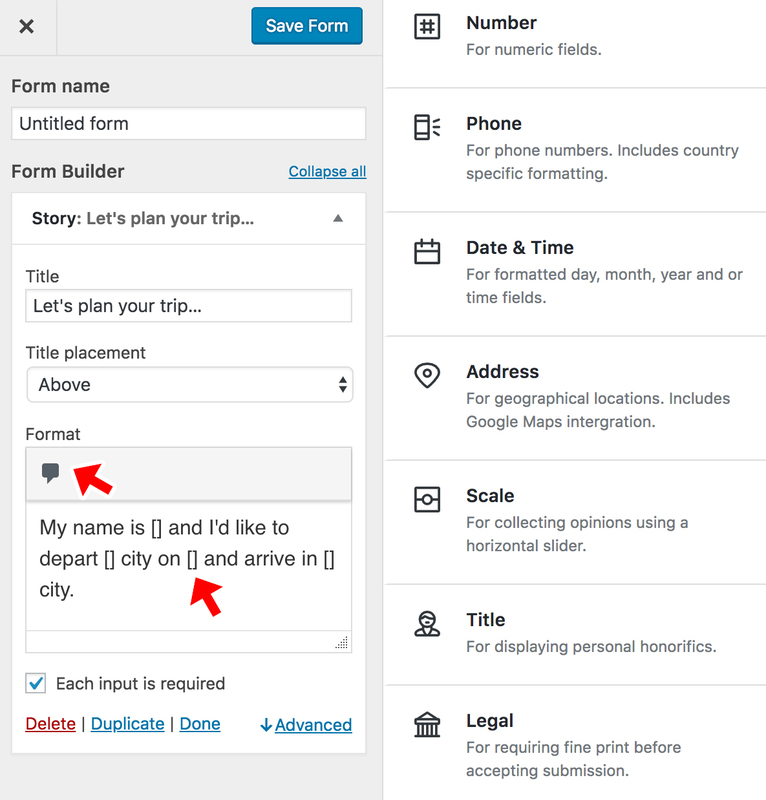 Download HappyForms plugin for free to get started creating your own natural language forms in WordPress. And the best part is, with HappyForms you don’t even need to know any code!